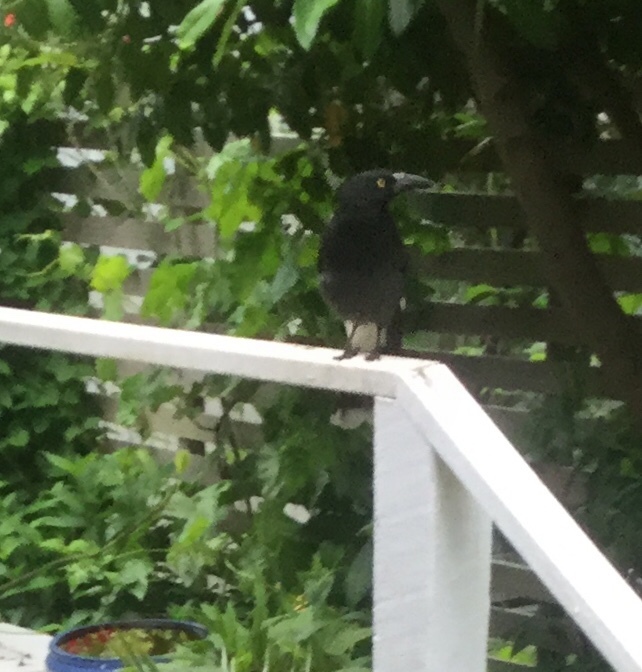 Over the past couple of weeks two currawongs have tentatively approached our feeding table on a regular basis. 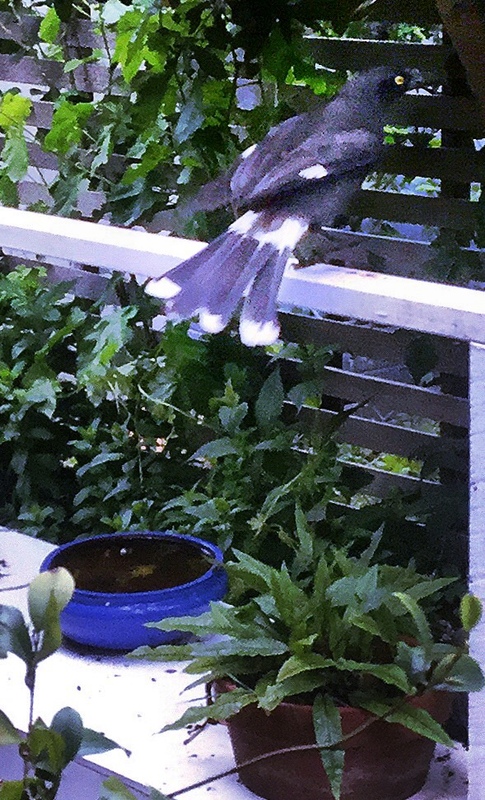 I think they are the family of our much loved currawong that died a few weeks ago. They could be her partner and off spring. The ravens are less in your face at the moment, now providing space for the other birds to approach the verandah. The photos are not crash hot as the birds are still nervous of close contact.